Jiu jitsu classes are made up of several components, including a thorough warm up, body conditioning, break-falls, self-defence techniques (combining strikes, joint manipulation and throws) and cool-down. 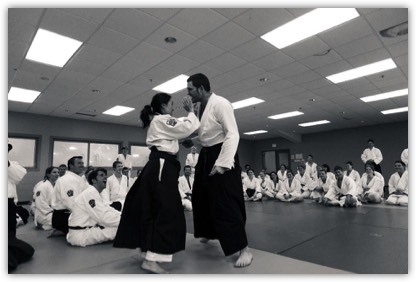 Although all sessions are varied, techniques are usually taught by demonstration to the group by the instructor followed by training with a partner while the instructor circulates giving individual attention. New students don't need a high standard of physical fitness or flexibility, as participants gradually improve on their endurance, strength, flexibility and speed as training progresses.